Video sharing site YouTube now receives more than 4 billion views every day and more than 60 hours of footage are uploaded every minute! 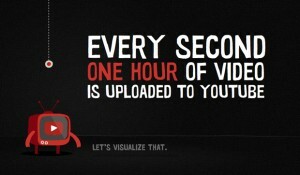 The video giant revealed the astonishing figures in a blog post –the same place that they revealed, in mid-2007, that YouTube had hit 6 hours of footage uploaded every minute. 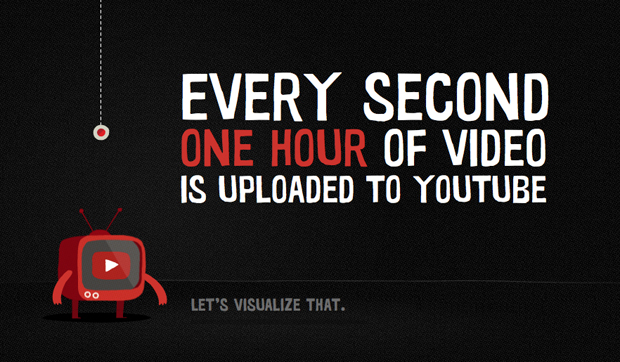 That’s ten times more uploads footage per second in less than a five year period. YouTube attempts to put the massive engagement figures into some perspective at onehourpersecond.com. The blog also revealed that the focus for YouTube in 2012 will be more original channels – creating the new MTV, ESPN and CNN – with the new homepage aligned with your favourite channels as well as a range of new creator tools. With YouTube apps already a staple feature of most smart phones, the increase of full-length titles on the site and personalised channels and homepages, YouTube is making video consumption simpler and more convenient. Will the growth of internet TV help or hinder the site’s growth? Will people ever get bored of videos of keyboard cats and people falling over?